The iconic hotels of Dorchester Collection are ready for Easter with family-friendly offerings to celebrate the holiday and the start of spring. Enjoy exquisite meals and holiday brunches, delicious chocolates and cupcakes, Easter egg hunts, and more. Whatever the Easter offering, trust it is waiting to be enjoyed in style amid some of the most desirable locations across Europe and Southern California. 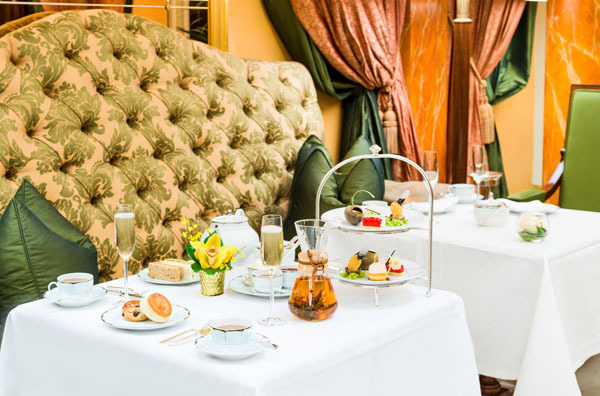 London comes to life in springtime and The Dorchester in Mayfair marks the season’s holiday with an Easter to remember. Located across from Hyde Park, Dorchester Collection’s iconic address is perfectly positioned for guests to enjoy an Easter break package with luxury accommodation, complimentary English breakfast and a welcome treat of house-made Easter chocolates for two. For those wanting to give something a little different this year, designer florist at The Dorchester, Philip Hammond will create bespoke Floral Easter Eggs. The ultimate alternative to chocolate gifts, these tightly constructed roses will be custom-made creations made to an individual’s required size and color specifications. For a luxurious and indulgent holiday stay in the heart of Mayfair, there is nothing else like Easter at 45 Park Lane. The elegant address with spectacular views of Hyde Park and arrayed with contemporary art, is celebrating the arrival of spring in London with scrumptious, house-made Easter treats to delight every age and appetite. 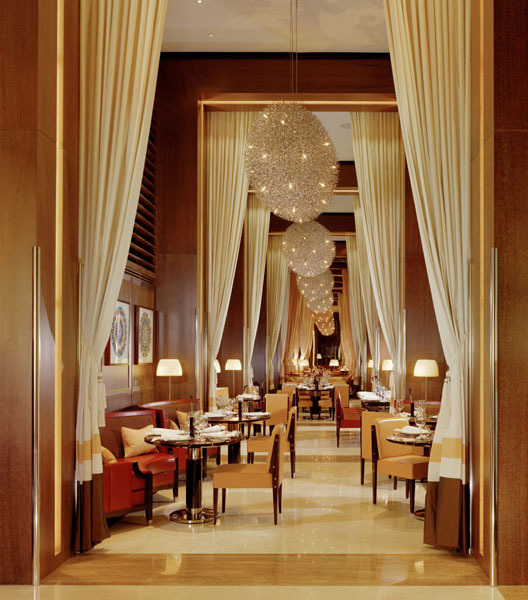 Don’t miss brunch at CUT at 45 Park Lane, the first-ever restaurant in Europe by world-renowned chef and restaurateur Wolfgang Puck, with selections such as chirashi sushi box with bigeye tuna and scallop, lobster cobb salad, and buttermilk pancakes with whipped maple butter and seasonal berries. The hotel’s Easter package includes luxury accommodation for two, complimentary English breakfast, a delectable selection of chocolate eggs, plus Easter nest cupcakes upon arrival. 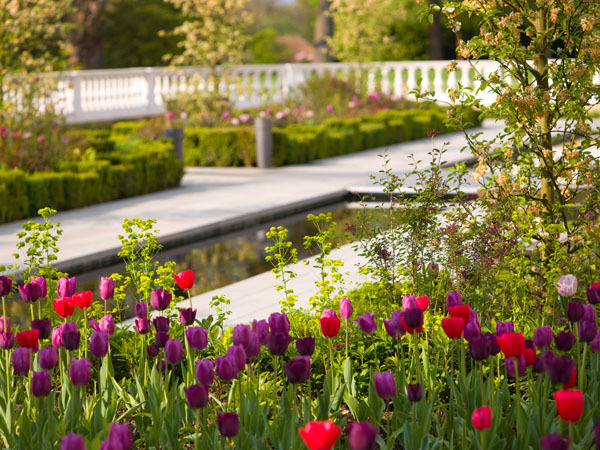 With 240 acres of picturesque parkland surrounded by cultural gems and heritage sites, Coworth Park near Ascot is a great spot for an Easter egg hunt and family activities including chocolate master classes, falconry, Segway racing and archery, as well as a special Easter meal. Dorchester Collection’s luxury country house hotel and spa is marking the holiday to the hilt with Easter afternoon tea, available March 30 to April 2, including Easter-inspired pastries before the fireplace in the Drawing Room, as well as Easter Sunday lunch amid the rustic and relaxed ambiance of The Barn on April 1. Michelin-starred Restaurant Coworth Park will also offer Easter Sunday lunch with a menu of classic British offerings using seasonal ingredients served before stunning views of the rose terrace and beneath the distinctive oak leaf chandelier. For a one-of-a-kind Easter treat, enroll in the Spring Master Class with executive chef Adam Smith on March 27. Guests are invited to prepare a delicious three-course seasonally inspired lunch menu with Smith, then enjoy the meal with a wine pairing in the Restaurant Coworth Park Conservatory. There’s nothing prettier in the morning than the sight of the sun sparkling through Tuileries Gardens from a bedroom window at Le Meurice on rue de Rivoli, in the heart of Paris. Enjoy Easter at Le Meurice with an exclusive offer of 10% off the best available rate on every category of accommodation, from deluxe rooms to the presidential suite, plus complimentary access to the historic palace hotel’s onsite sauna, hammam and fitness center. Guests will be treated to a special chocolate gift, while children will be entertained with an exciting egg hunt in the hotel from March 31 – April 2. This year Hôtel Plaza Athénée, the wrapped-in-red palace hotel on famed avenue Montaigne, is offering guests a collection of eggs on a chocolate platter. Lined in a pretty row, the five eggs come in a range of colors – milk chocolate, Plaza red, Easter orange, chick yellow and egg white. Created by executive pastry chef Angelo Musa, winner of the Best Craftsman of France award in 2007 and the World Pastry Cup in 2003, and pastry chef, Alexandre Dufeu, each egg has a gourmet flavor including caramelized hazelnuts, strawberries and pistachios, cashew nuts with crystallized grapefruit, lemon pieces, and sweet almonds. Hôtel Plaza Athénée will also be welcoming family travelers for Easter with an exclusive offer of 10% off its best available rate. The Easter package includes welcome chocolate amenities by La Manufacture de Chocolate Alain Ducasse, breakfast, complimentary access to the hotel’s sauna, hammam and fitness centre (excludes spa treatments), as well as an Easter hunt with eggs hidden in-room for children to seek, find and place into their personal Easter basket presented upon arrival. With baskets brimming, children can bring them to the concierge desk and receive a delightful surprise (from March 31 to April 2). Located overlooking Piazza della Repubblica in the heart of Italy’s fashion and design capital, Hotel Principe di Savoia, the historic neoclassical landmark, will dish up an Easter brunch buffet at Acanto with mouthwatering temptations such as octopus with pink pepper and olives, stuffed focaccia, and gnocchi with asparagus, radicchio and salted ricotta cream. Direct from the talented hands of the pastry chef, a selection of cannoli with ricotta cheese, fresh fruit, and chocolate Easter eggs will also be served. The hotel’s Easter family fun package includes luxury accommodation, daily buffet breakfast, Easter amenities for children, chocolate cake, and a complimentary bed in the parents’ room or 50% off a second room for the children. Celebrate the holiday in style at Hotel Eden, not far from the Spanish Steps in the ancient heart of Rome. 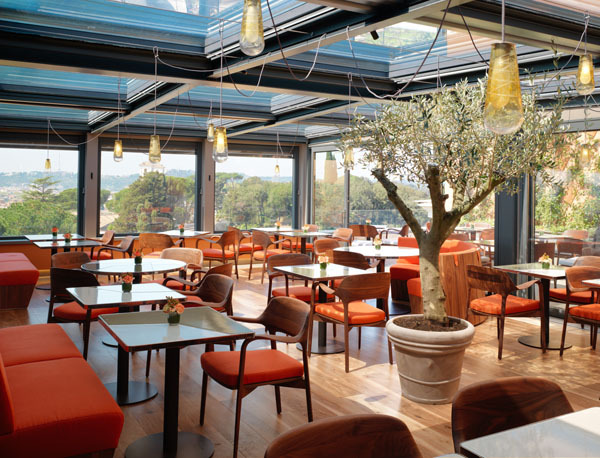 Just one year on from its grand reopening following an extensive restoration, the hotel invites guests to enjoy a sensational Easter brunch and views of Rome to match at rooftop Il Giardino Ristorante & Bar. There, Michelin-starred chef Fabio Ciervo will be creating a memorable four-course menu to be whisked to the table with true five-star service. Start with hand-carved ham or beef carpaccio with rocket salad and parmesan, move onto grilled octopus, taggiasca black olives, potato and red onion from Tropea, or quinoa, mixed sprouts, shrimp, cucumber and celery. Continue with Ciervo’s specialty pizza, eggs benedict or aubergine parmigiana. Don’t forget to save room for a decadent dark chocolate egg with a heart of tiramisu, Baileys cream and Bronte pistachio ice cream. Enjoy Easter at Hotel Eden with one-night luxury accommodation for two, full breakfast buffet served on the rooftop, and a surprise chocolate gift. Enjoy an exquisite Easter brunch in the Polo Lounge at the legendary Beverly Hills Hotel on Sunset Boulevard. With inspiration and ingredients from California, chef Kaleo Adams has curated a three-course menu for the holiday, with highlights such as signature tortilla soup, truffle eggs benedict, the brunch burger, and slow-roasted prime rib. Dessert will be worth waiting for, with a buffet of enticing seasonal tarts, carrot cake, éclairs and more. Following brunch, guests of the hotel and the Polo Lounge are invited to participate in an Easter egg hunt in the Polo Garden, with a fluffy, photo-op-ready Easter bunny on hand to meet-and-greet on the restaurant’s private patio and around the hotel. 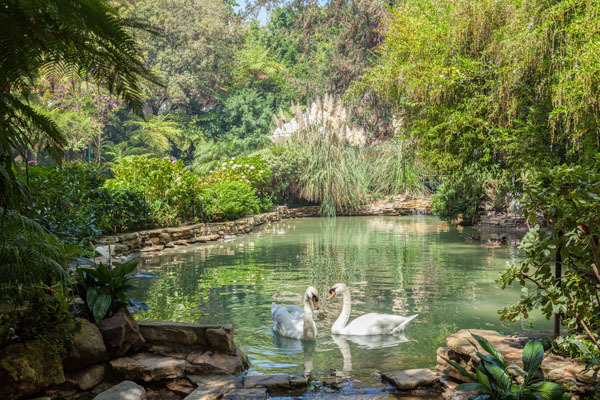 Families will be treated to a delicious selection of brunch classics at Wolfgang Puck at Hotel Bel-Air, located in Los Angeles, followed by a special Easter egg hunt. The award-winning restaurant’s Easter Sunday brunch menu offers a wide array created by executive chef Hugo Bolanos from the freshest, most authentic ingredients, with starters such as deviled eggs, caviar and house cured smoked salmon, and brunch items including Thai-style Jidori chicken salad and soft French-style omelet. Afterwards, hotel and restaurant guests are invited to head outside and meet the Easter bunny as children hunt for Easter eggs across the hotel grounds, with the Front Lawn designated for youngsters aged 2-7, and Swan Lake for ages 8-14.